Often during the week I am just too tired to even think about attempting to bake gluten free. Occasionally though, I get a rare burst of motivation to attempt it. That's what happened with these biscuits. 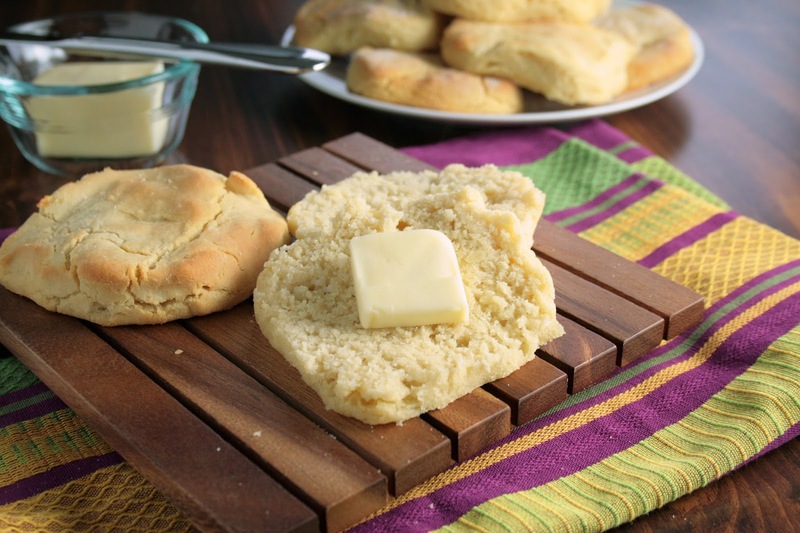 I was looking for a fluffy buttermilk biscuit recipe, but every gluten free one I found had way too many ingredients in it for my liking. So I decided to modify a non-gf recipe and see what happened. 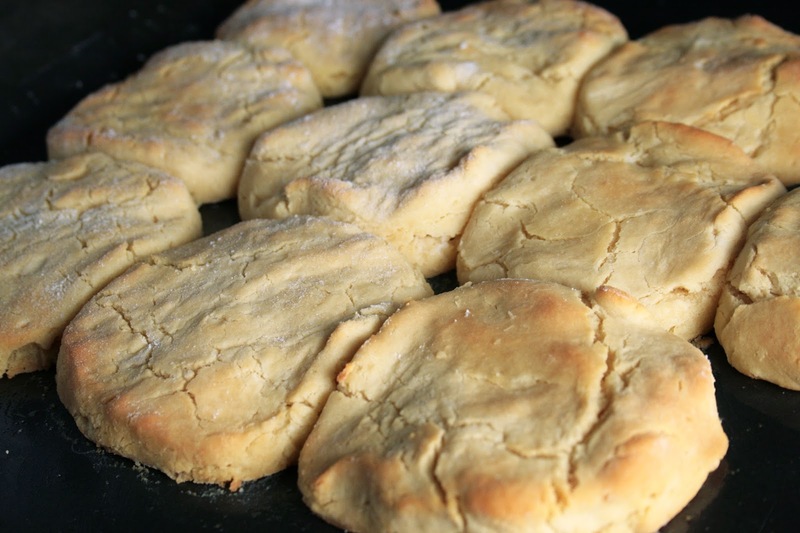 These biscuits were actually easy to make. Impressive for gluten free baking as many of you are intimately aware. Although they didn't turn out as light and fluffy as I hoped, they were still very good. Based on that I decided to share the recipe with you anyway. Maybe someday I'll find a lighter, fluffier version. 1) Preheat oven to 450F. Grease a cookie sheet with nonstick cooking spray. 2) Mix all dry ingredients in a large bowl. 3) Cut in butter and mix until coarse crumbs exist. 4) Add buttermilk and mix until well combined. 5) Flour counter or large cutting board and turn flour out on top of it. Using your hands, flatten dough out into 1/2 inch thickness. Using a biscuit cutter, cut out as many biscuits as you can and place onto greased baking sheet so that the biscuits are just touching. 6) Ball remaining dough back up and flatten out. Cut out as many biscuits as you can. 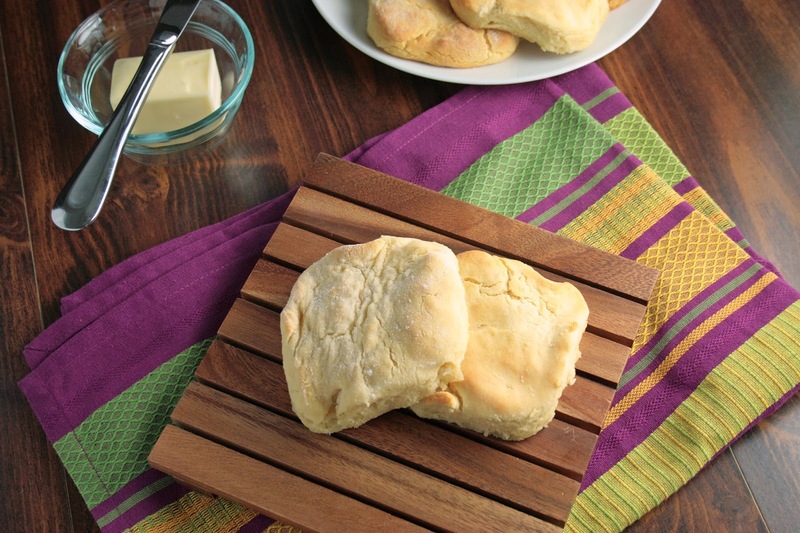 Repeat this process until you have about 10 biscuits. 7) Bake for 10-12 minutes or until slightly golden brown.